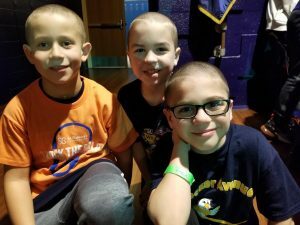 Photo caption: When the West Babylon Junior High School hosted its St. Baldrick’s event on March 1, Tooker Avenue Elementary School decided to join forces with the Bald Eagles of West Babylon. 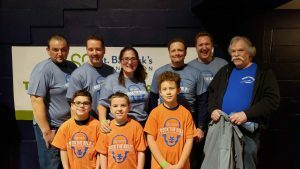 The West Babylon community raised more than $47,000 for the cause, and Tooker contributed more than $9,000. 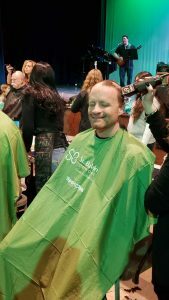 Several teachers and students braved the shave including Principal Charles Germano.